Since your kitchen is one of the most exploited rooms in your entire home, a leaking fixture or a water supply line won’t come as a surprise but unfortunately will promptly turn into a big problem. Leaks are tricky and can appear in various places, you may not even realize that there is a water leak until water starts spilling all over the floor. Do not panic! You can rely on Downey Plumbing Heating & Air Conditioning to come to the rescue 24/7 in case of urgent kitchen plumbing repair needs. Our reputable plumbers professionally deal with plumbing emergencies realizing that you want the problem fixed asap. To avoid any emergencies in the future, regular maintenance should be number one priority when it comes to kitchen plumbing. Kitchen plumbing appliances and fixtures will operate at full capacity when properly maintained. Our plumbers at Downey Plumbing Heating & Air Conditioning can offer annual maintenance inspection plans, when a professional plumber will pay you a visit and check all the parts of your kitchen plumbing to discover any leaks or blockages that might potentially cause problems. Garbage Disposal – Our plumber will inspect disposal blades, as well as the engine to rule out any clogging. 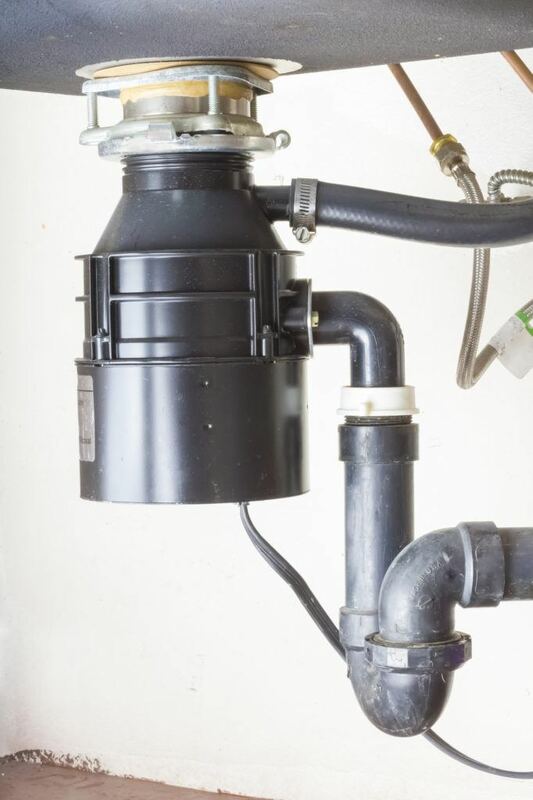 Your garbage disposal will also be flushed and cleaned to ensure its proper operation. Dishwasher – If you leave too much grease and leftovers on the dishes before putting them into the dishwasher, this will cause the clogging of its drain lines. Our plumber is more than capable to discover any blockages as well as clean the drain lines. Kitchen Sink – If there is no garbage disposal at your home, installation of sink traps is a must. They should be cleaned routinely to prevent deposit buildup and clogging from food scraps and grease. Drain cleaning with hydro–jetting equipment is also an essential part of your kitchen plumbing maintenance routine: removal of the organic deposits that collect over time inside sink drains prevents the most frequent plumbing nuisance – the drain clog. Kitchen Plumbing Installation Services fall into the area of our expertise as well. 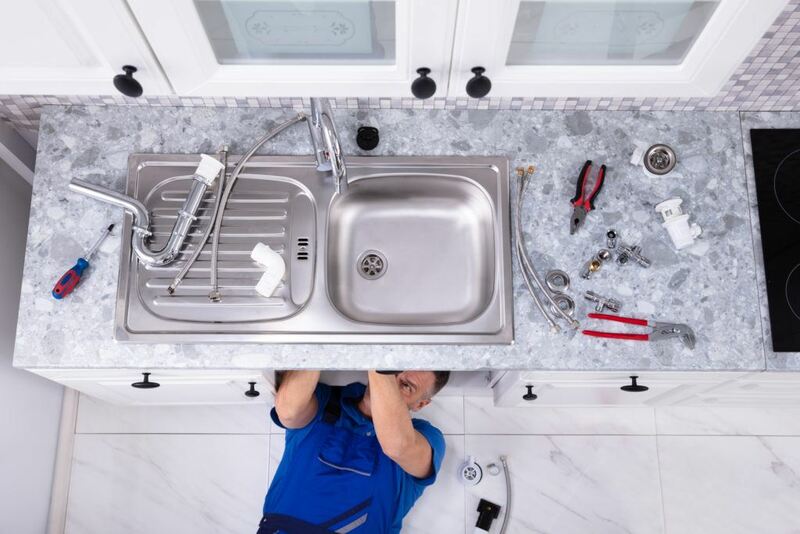 Whether it is time for you to install a new dishwasher or garbage disposal, or you wish to replace your old pipes or change the kitchen faucets, the plumbers at Downey Plumbing Heating & Air Conditioning can assist you with any new kitchen installations you might require. Do not trust any plumbing installations to anyone but the best trained and experienced plumbers. Only licensed plumbing professionals can complete the work fast and without mistakes. Whatever service you need for the dynamic functionality of your kitchen plumbing, you can count on Downey Plumbing Heating & Air Conditioning to go extra mile with you to deliver the quality work. We employ certified technicians with the best training in the plumbing industry and our plumbing services are unmatched in Downey area. Contact us today!